The focus of this 9cm square card is the sentiment. If you don't yet have Delightful Dozen, I'd highly recommend it for its variety of beautifully designed sentiments that will cover all the high days and holidays in your calendar! I fell in love with the So Very Grateful stamp set from the spring/summer catalogue the moment I saw it. Colouring isn't really my forté but a scribble of ink with an aquapainter is all these beautiful images need! 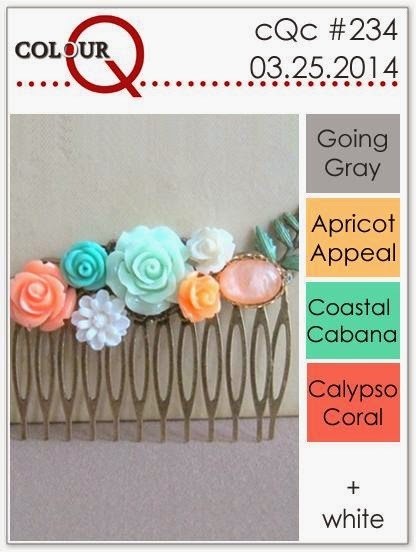 Don't these pastel shades look wonderful against the Smoky Slate? I didn't come up with this gorgeous colour palette by myself - it's the latest in a series of wonderful colour combinations at the ColourQ where I'll be linking up this card. My mother died years ago but remembering how she was brings her back to life again, what I'll do now I'll send my d.i.l. a nice card for being such a wonderful mother to my grandchildren. btw mother's day in Holland is on the 2nd sunday in May, so I still have some time to make her a nice card. 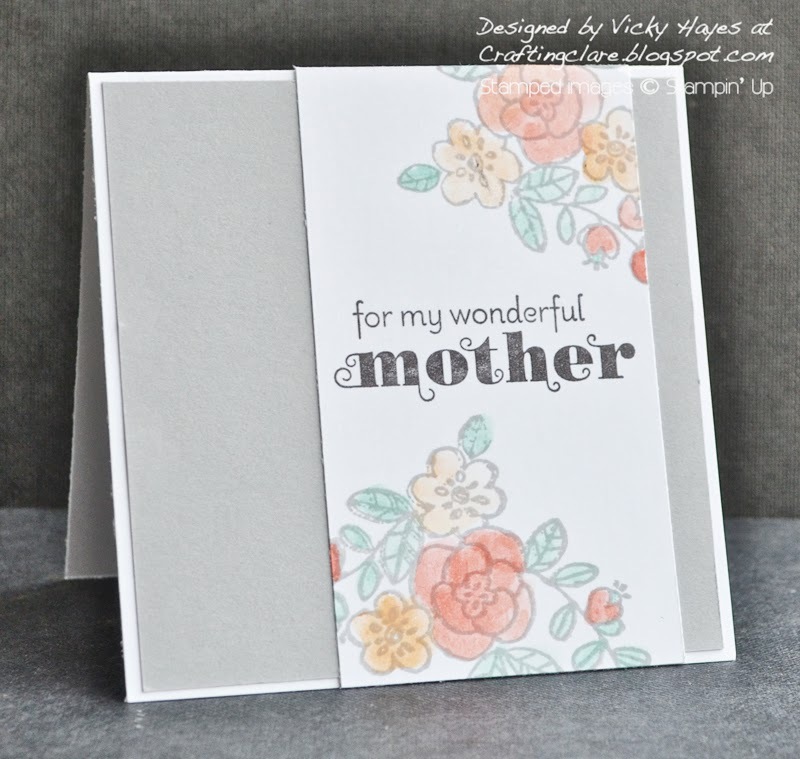 Beautiful card and a tribute to your own mother and being a mother.